A few weeks ago I popped into my local Lush store to find that these wonderful, previously Oxford Street EXCLUSIVES had made it to Leeds! I hadn’t planned on buying anything, was just having a browse, but when I saw these goodies it would have been RUDE NOT TO – wouldn’t it?! 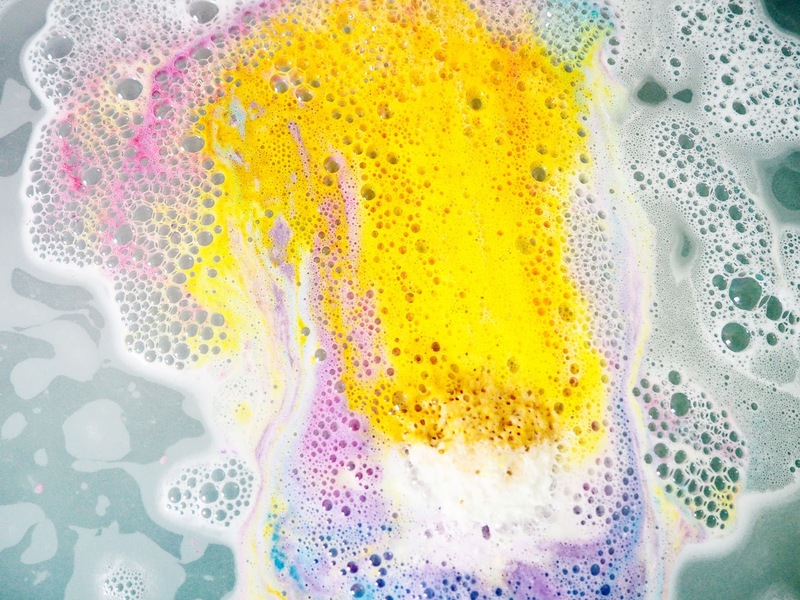 This Experimenter Bath Bomb is surely a beauty, I mean look at all those colours. It is like it belongs in a fairy unicorn land. I had seen all the beautiful photos of this one all over my Instagram, and I was like I NEED TO HAVE THIS IN MY LIFE. I won’t lie to you guys, giving this one a sniff really is a shock to the system. You expect it to smell like fairies or something, but it really doesn’t. It smells kind of smokey and woody.. kind of like a BBQ which I know, sounds really gross. Sorry. I still wanted to buy it and give it a chance. 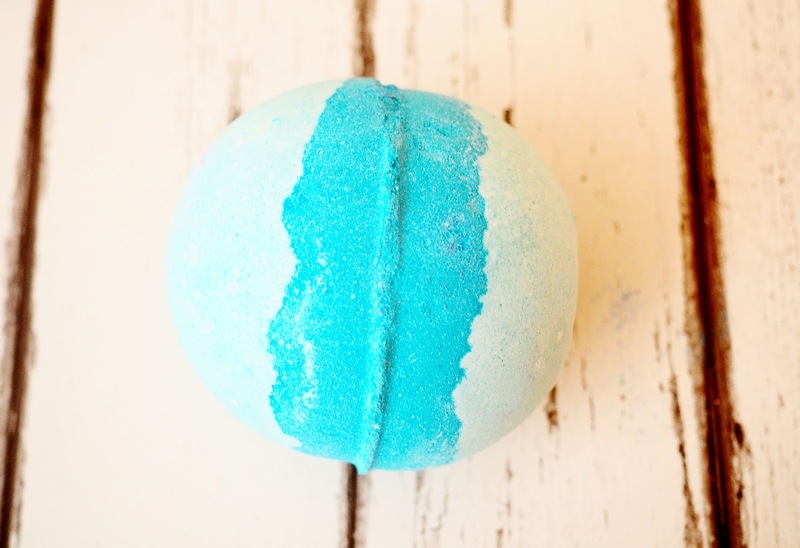 As expected, this bath bomb looked BEAUTIFUL when you popped it into the water. 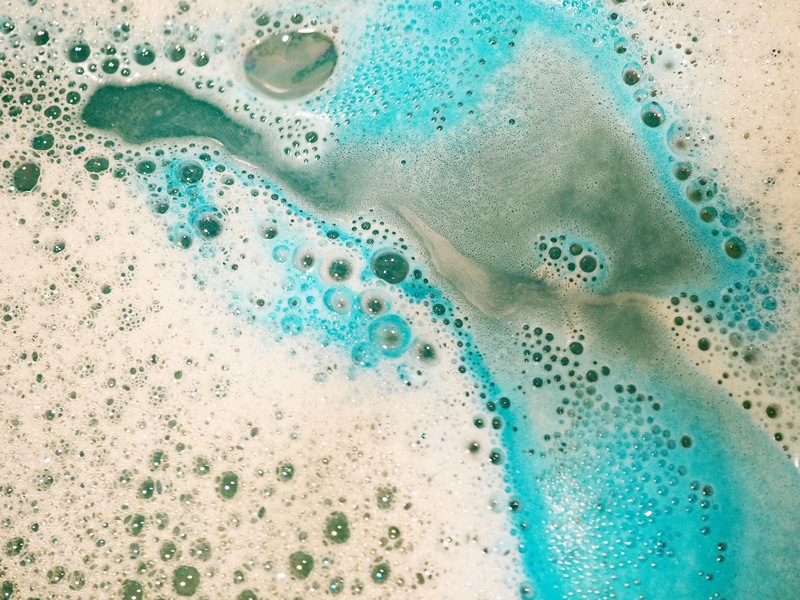 It was an extremely fast fizzer and all the beautiful colours (blue, pink, yellow and purple) all swirled around the bath tub in gorgeous patterns. But sadly 🙁 when they all mixed together it really was quite a disappointment. You are left with a really murky kind of deep purple / grey colour but it does still have a beautiful shimmer, and it actually smells really quite nice when it is in the tub. Don’t get me wrong, this bomb is lovely for a one time experience, but it won’t be making it into my favourites. Okay, so this Frozen Bath Bomb really is FANTASTIC. I didn’t think I would like it as much as I did. It smelt nice, but not overly amazing. But when this bomb hits the water, that is when the MAGIC HAPPENS. Because it contains grapefruit oil, the overall scent is citrusy and extremely refreshing. I found for the entire bath I was singing Frozen songs of some sort, particularly Do You Want To Build A Snowman! As all the gorgeous blue pieces swirl all around you are left with a STUNNING turquoise blue water filled with silver glitter. 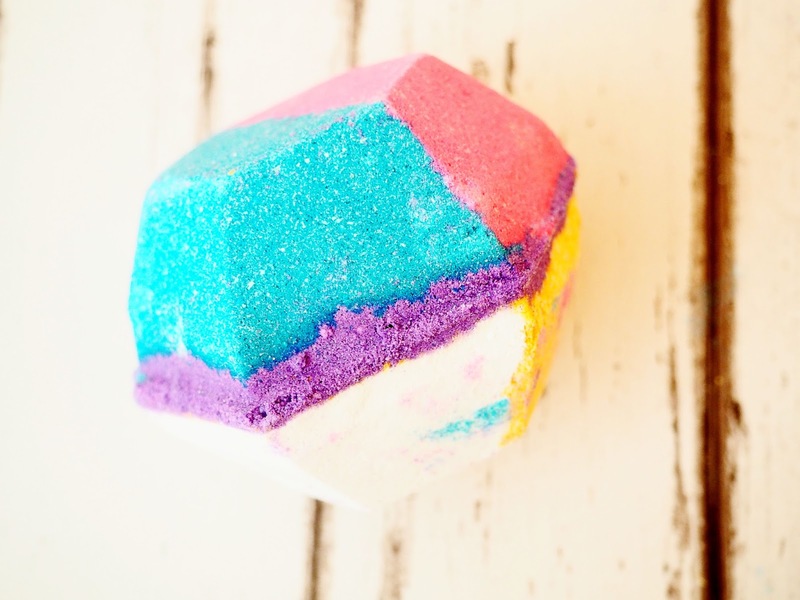 But not so glittery that you are covered in it, a light shimmer for your body, this would be a lovely bath bomb to use before a party! You will catch the light and sparkle the night away! The Comforter Shower Cream features the signature fragrance that is used in The Comforter Bubble Bar, which makes sense I guess. Lush describe this as a “Snug Berry Hug.” With this being one of my FAVOURITE Lush scents ever (joint with Snow Fairy) it was no surprise that I was truly excited when I heard of this shower cream. I didn’t expect it to smell identical but OH IT DOES AND THIS MAKES ME SO HAPPY. I do love a good bath but they aren’t always the most practical, so it is great to have a stunning scent to use in the shower. It smells like BERRIES, and Ribena and sweets. It is a very sickly sweet smell.. but if you know me I LOVE FRUITY SWEET SMELLS. If you like Snow Fairy I am sure you will love this, AND IT IS BRIGHT PINK! If you don’t like sugary girly scents, the likelihood is you won’t like this at all, but I think it is divine. It is definitely worth a sniff, I wish I purchased a larger bottle but I was trying to be good! Plus we are almost approaching Snow Fairy Season! Hope you enjoyed this post lovelies, got to love a Lush haul! Have you tried any of these products or any of the other exclusives? 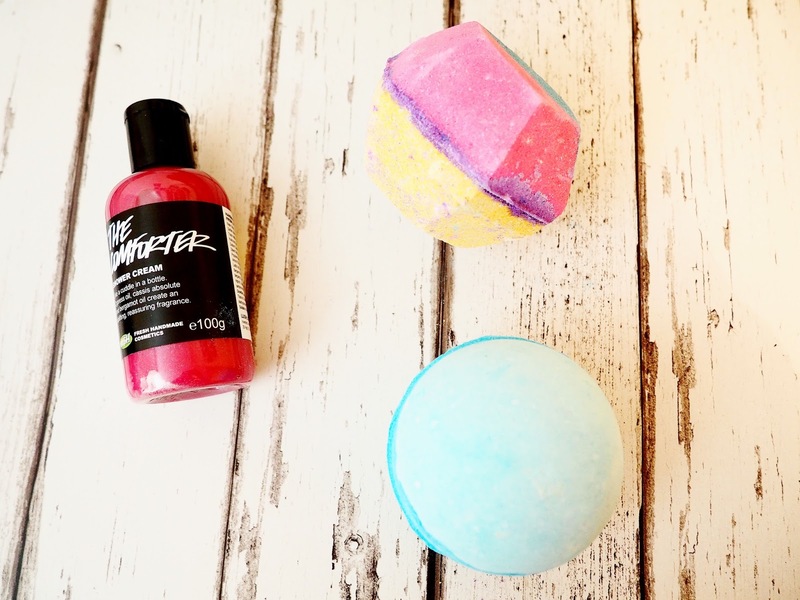 I would definitely buy the Comforter Shower Cream and Frozen Bath Bomb again, but perhaps not The Experimenter. I recently visited the Oxford Street Lush and it was truly a PHENOMENAL experience! Spent a good hour or so in there! I purchased a few bits that I am super excited to try out and share with you guys, so keep your eyes open for that future post! You can watch my experience in my VLOG below! The experimenter just mesmerizes me, every time! Okay I'm totally sold on the comforter one – the sicklier sweet the better for me, love candy smelling sugary scents – YUM! Yep, I thought the same with the Experimenter as well – nasty purple messy water after, but it was fun while it lasted haha! I really do think I have a problem, everytime I see a Lush I get drawn in.. it's all the smells or something! Ps I love your blog, it's such a cute design! Gorgeous haul, the experimenter looks amazing and I love the mix of colours 🙂 I have to agree it does look like it belongs in a fairy unicorn land haha, you know what I do love the smell of a BBQ haha. You literally cannot beat a bit of lush, it's absolutely amazing and my favourite place ever! The frozen bath bomb sounds lovely with the grapefruit oil 🙂 Not a fan of smokey smells in my bath stuff or murky purple so not sure I'm keen to try the experimenter. Great honest reviews! I used the experimenter last week and I'm so glad I'm not the only one dissapointed with it. My bath looked a gross deep purple almost black look. I have frozen and the comforter shower gel along with a few other bits not tried them yet though.